Toptal is pleased to sponsor this technology-oriented conference for developers and designers, October 5-6 in Zagreb. 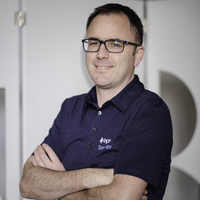 We are also proud to have Marco Cecconi, Engineering Manager at Toptal speaking at the event. Marco will take the stage with a talk titled Make coding fun: developing a game in the browser. Join Marco October 6th at 3:35pm and learn how to develop your own arcade game in a browser and unleash your programming creativity. This event will be a great opportunity to connect with other Toptalers and to meet some core team members who are in town for the conference, including Brian King, Toptal’s Europe Community Lead. For more information on the event, please visit the event website or contact Brian.